A version of this article was originally published on the Parse.ly blog. What do people do before they go see a movie? The more readers a movie’s articles receive, the more money it made. The movie industry tries to answer this question through proxies employed by marketers: surveys, data on past successes, search data, and more recently social media listening or interaction tools. Given Parse.ly’s dataset of billions of internet visitors per month to the largest media properties in the world, we thought we’d try to visualize actual reader attention, as measured by page views, for movies. We removed the need for online audiences to take an action in order to measure their behavior and instead focused on information they’re taking in. To start, we examined the amount of attention a movie receives in the media and the correlation to box office success. In the scatterplot below, each dot represents a single film. Dots located further to the right received more internet attention in the three days prior to their release, and those located towards the top received more total U.S. box office revenue. 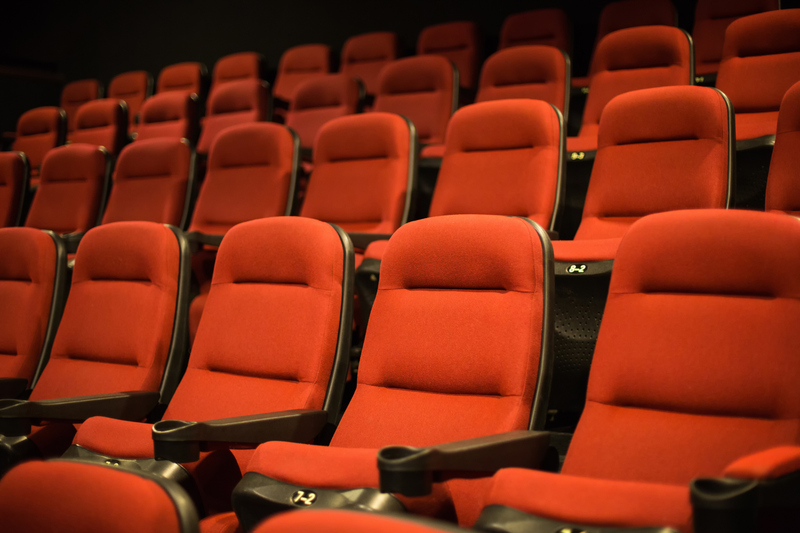 The high correlation between page views and box office revenue is likely simple: people tend to read articles about a movie before buying a ticket. So, the more readers a movie’s articles receive, the more money made. It’s interesting to note the exception, PG movies (which are represented by the hollow blue dots in the scatterplot were less correlated), also makes perfect sense: kids are less likely to read an article about a movie before attending it. What else can we we see by analyzing reader interest and attention in movies? One thing that became clear when digging through the data: geography affects audience attention for movies and entertainment online. Movies, at least as measured by their box office earnings, still require an understanding of localized viewing habits. For movies released in 2016 through August 2017, our team analyzed how many total views each movie’s articles received in each of the U.S.’s media market areas. For each movie, we found every article from our database where the movie was mentioned in the text or headline. Then, using IP address, we matched each visit to these articles with the extracted the geographic location of the visitor. We can see that the regions around the Gulf of Mexico, which were most heavily affected by the real-life Deepwater Horizon disaster, paid the most attention to the film, which makes sense and is a good sanity check for our data. The film also received high levels of attention in Western North Dakota and Eastern Montana. The two deep-green media markets in this area are at the epicenter of the shale oil boom, and are presumably home-away-from-home to many oil workers. Compare that map to the people reading about Captain America: Civil War in the US. Captain America: Civil War grossed the third-highest total box office revenue in 2016, which presumably means it had very broad appeal. With the map of audience attention for this movie, we see a broad spread across the United States, though with slightly higher concentration in the Midwest. What movies were you most likely to read about? Using data science we can quickly identify patterns that we wouldn’t be able to see just by looking at the individual movie patterns. We used a technique called Latent Dirichlet allocation (LDA) to find these hidden geographic trends in how online readers pay attention to movies in the United States. Patterns based on geography, or visually, where the most views for the group took place. The maps below show the geographic clusters. We compared these to census data for area density, race and other factors to help describe each group. Most read about films in the cluster: this simply shows what percentage of page views each audience gives to each movie. Because this ranking is based on absolute volume of page views, large-budget, popular films show up in this list. Each audience’s most characteristic films compares that audience’s most popular list above to the average across all audiences. Because this ranking is relative (based on comparing interest to the average), both small and large budget movies both have a chance of appearing here, so this list highlights what makes each cluster unique. Using this information, we’ve described each group below. Read on to see the groups for yourself, and see if we matched the movies you watched to the area where you live. The largest grouping (or cluster) of views included 38 percent of all the page views analyzed. For each cluster, certain movies that this segment was uniquely interested in were characterized by action films that appeal to different age groups, especially comic-book action films. This audience has a large presence in most media markets, but is especially prevalent in rural areas. We described this grouping as “Mainstream,” based on the size and the spread of the interest across the country. The films most characteristic of this cluster are extremely expensive to produce: the average production budget for this group’s ten most characteristic films was $150.3 million, indicating that movies with widespread appeal have their price. The second grouping the algorithm showed us generates 22 percent of all movie focused page views. In an almost inverse pattern of the previous group, the reader interest comes mostly from urban, coastal regions. The movies, like The Zookeeper’s Wife and The Big Sick, focus more on adult themes and less on special effects. The average production budget for this group’s ten most characteristic films was $22.9 million, or 85 percent less than the budget of the films most characteristic of the mainstream group. In the third grouping, we discovered interest in movies with largely black casts, including When the Bough Breaks and Girls Trip. We also observed that the geographic trends very closely resembles that of the African-American population according to the U.S. census. Using the relative interest levels as an indicator, it appears these films aren’t generally popular across the U.S., but in this group, they’re very popular. Additionally, when we looked at the budget vs. the box office gross for these movies, the movies that this group was interested in were especially profitable, often beating industry predictions. Somewhat similar to the previous group, this pattern of readership closely resembles a distinct ethnic group, specifically the Hispanic population (we compared it to census data compiled by Pew Research). While 7 percent of total page views visited about movies went to these films, it appears that this market is underserved—very few Hollywood films feature predominantly hispanic casts. The movies that did do well include Lowriders and How to be a Latin Lover, along with Phoenix Forgotten, which centers around events in Phoenix, Arizona. The final audience, which accounts for 24 percent of page views, is the most difficult to interpret. It is more prevalent in the northern half of the US, and many of its most characteristic films were winter releases, so we tentatively call this the Winter audience. The movies unique to this cluster included A Dog’s Purpose and Fist Fight. Now that we’ve taken a shot at defining these groups, take yours! Explore the data on the movies and grouping on Parse.ly.